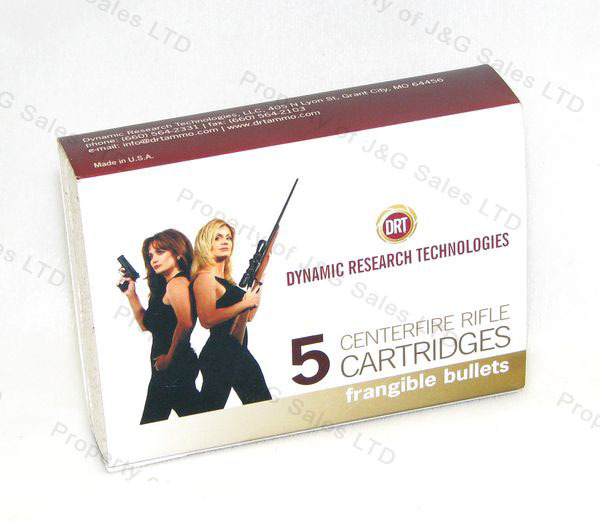 300 Win Mag DRT Frangible Ammo, 5rd Box. 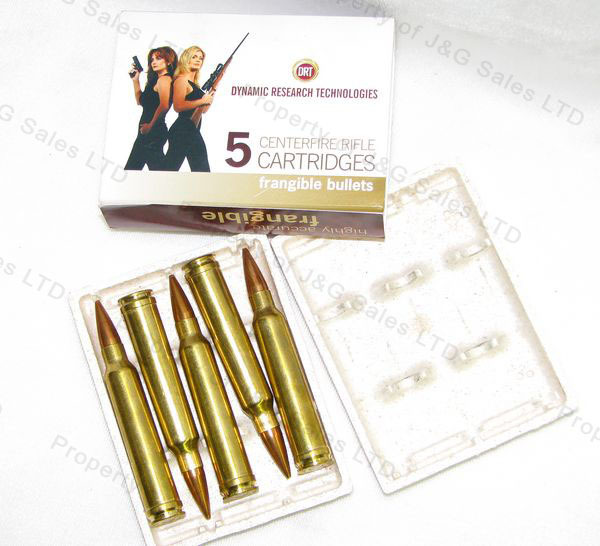 This is 300 Win Mag ammo, made by Dynamic Research Technologies, using special frangible bullet designs. 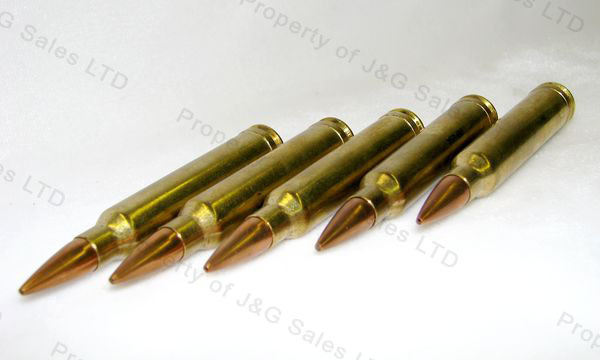 It has a 200 grain boat tail hollow point, lead free, high velocity frangible bullet made of a high density compressed powdered tungsten core. 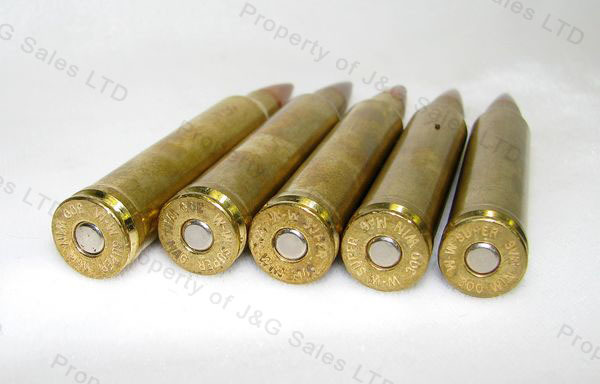 Jacket peels back and core turns to powder upon impact creating a uniform wound cavity with no waste of energy.